In an optimistic keynote address at the BNEF Future of Energy Summit in New York last week, Liebreich laid out the case for why money will continue to flow to solar, wind and other renewables. And that flow will be significant, BNEF believes. “Our house view remains that, despite the changes in oil and gas prices, there is going to be a substantial buildout of clean energy,” Liebreich said. China will be a major driver of this trend, due in part to the clean energy pact it struck with the U.S. last year and due to its need to clean up the air pollution in its cities. 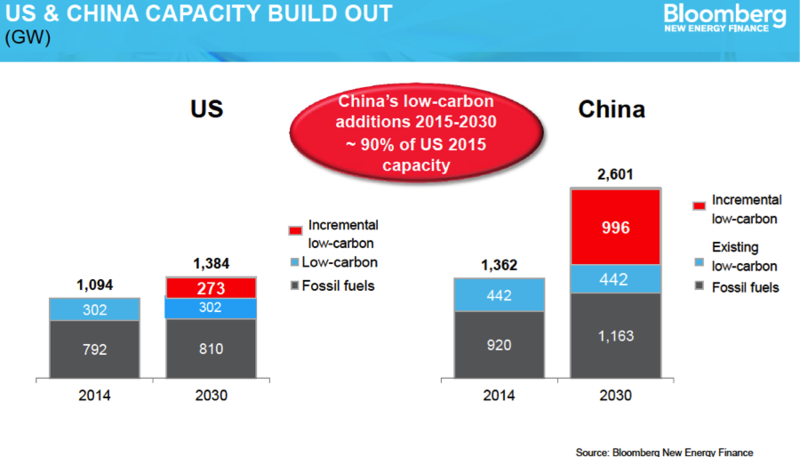 That will all require China to build vast amounts of clean energy plants – nearly doubling its total electric capacity from about 1.4 gigawatts in 2014 to 2.6 gigawatts in 2030. That increase, Liebreich noted, is equivalent to about 90% of the entire U.S. electric grid today. Liebreich also called India “one of the most exciting markets.” The country had been building about 5 gigawatts of solar and wind production annually in the years leading up to 2014. The new government of Prime Minister Narendra Modi has set a target of 20 gigawatts of new renewable energy production per year. While it may not be feasible to reach that ambitious goal, “even if they reach half or two thirds or three fourths of that build rate, it’s a huge opportunity for the renewable energy industry,” Liebreich said. He is also optimistic about solar prices and expects to soon see solar electricity being produced for 6 cents per kilowatt hour, a price level that he said was “unthinkable a few years ago.” Prices will fall, Liebreich said, due to the falling cost of capital and the experience curve – the concept that the more experience a company has in producing a certain product, the lower its costs. He noted that in January Saudi Arabia’s ACWA Power won a bid to build a 200-megawatt solar plant in Dubai at a cost of 5.84 cents per kilowatt hour. He noted that there are questions as to whether that project was truly unsubsidized and that this is just one project. Regardless, he said, it’s clear that solar prices are coming down. 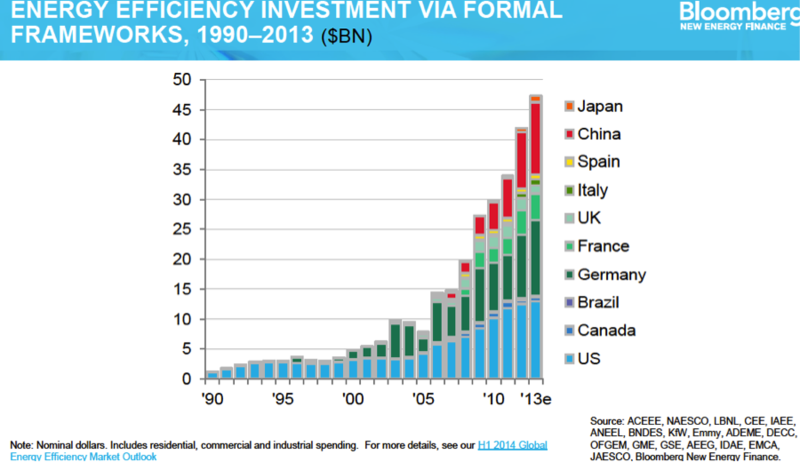 “If we’re not the world of 6 cent solar today, we will be very, very soon,” Liebreich said. – “We are bullish on electric vehicles,” Liebreich said. “They do represent a substantial disruptor to the automotive industry.” He’s bullish because battery prices will continue to come down and because cities around the world will encourage electric vehicles as part of a fight against air pollution. – The green bond market will double to $80 billion dollars this year. 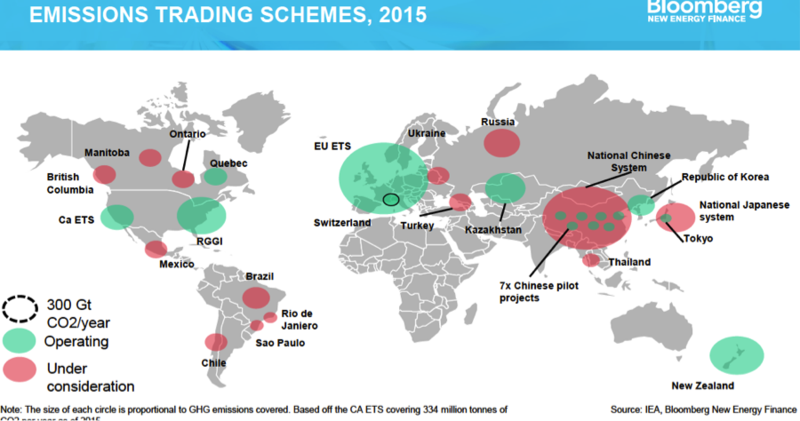 – Carbon markets are resilient and potentially will be making a comeback.